Långnäs is a port in Lumparland on the eastern mainland of Åland, about 30 km over the road away from Åland's capital Mariehamn. Road ferries to Kumlinge (Snäckö) and Galtby via Föglö (Överö) and Kökar start here. In the early 1960s, Silja Line built a ferry terminal in Långnäs, designed by architect Bengt Lundsten. The terminal was in use 1965-1975 and was then closed and removed in 1993. A new terminal was built in 1999 to accommodate the large cruiseferries on the Stockholm—Turku route. It is used as an alternative to Mariehamn harbour on connections with little passenger traffic to and from Åland. In 1999, European Union legislation outlawed the sale of duty-free goods on ferry cruises within the EU, but Åland's tax privileges provide a legal exemption for ships that call at a port in Åland. 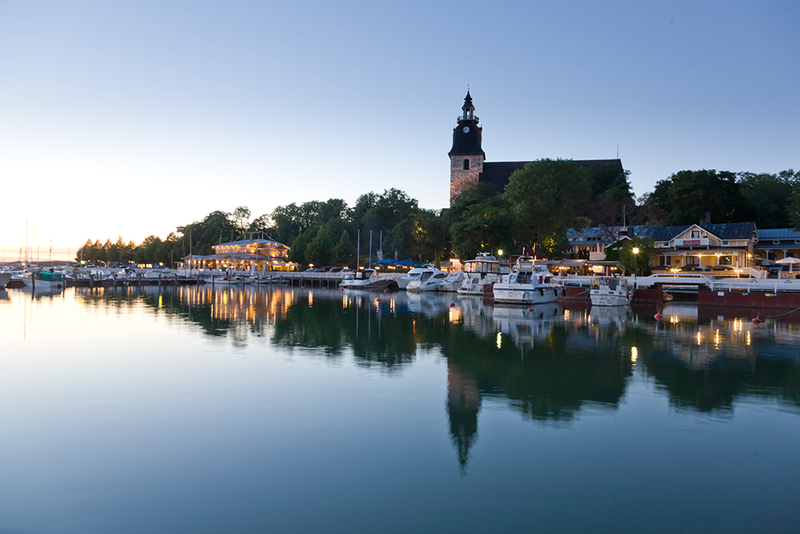 As duty-free sales are a considerable source of revenue for the ferry shipping companies, the major routes between the Stockholm region (Kapellskär and Stockholm) and southern Finland (Turku and Helsinki) include a stop there. Do you want to travel with your family to get to Langnas (Aland Islands)? Do you like adventure and freedom and you want to reach the destination Langnas (Aland Islands) with your moto ? These are the shipping companies that serve the routes to Finnlines, Viking Line.